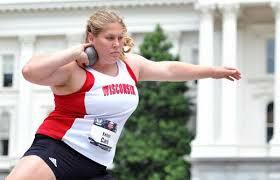 Pat Trofimuk is a large man with a sensitive side and an extensive knowledge of NCAA throwers. 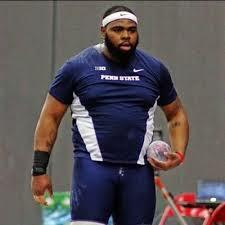 Pat competed at Illinois State University alongside NCAA javelin champ Tim Glover (who will be competing this weekend at the Adidas Grand Prix Diamond League meet in New York) and multiple NCAA medal winner Brittany Smith (who competed on Sunday in the Birmingham DL meet). 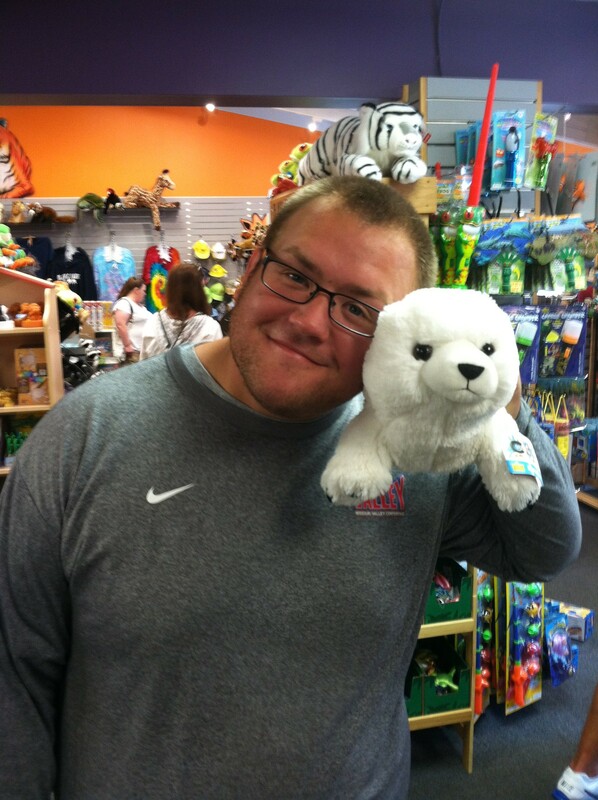 So when Pat talks, whether about choosing the proper stuffed animal or predicting NCAA throws winners, I listen. I hope you will, too. 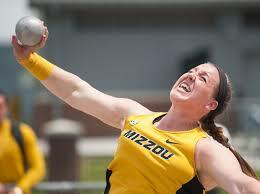 This is the final part of our NCAA throws preview. Raven Saunders of Southern Illinois won the indoor meet with a titanic put of 18.62m. 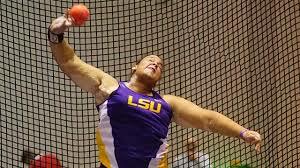 LSU’s Tori Bliss was a close second indoors with a nearly-as-titanic toss of 18.67m. 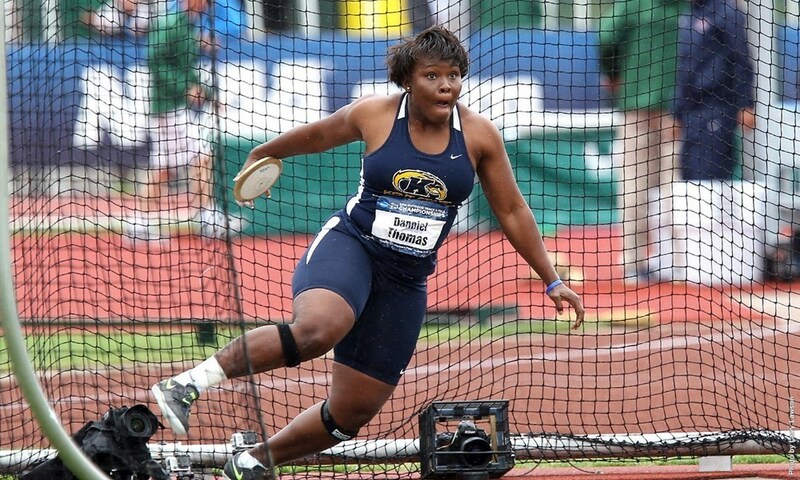 …have all thrown 17.50m+ this outdoor season. 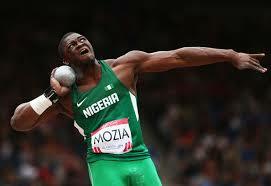 …the defending champion who has a PB of 18.15m from the 2014 indoor campaign and has thrown 17.45m outdoors this year. 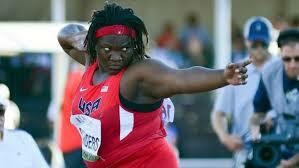 Raven has gone 18 meters twice outdoors, most recently an 18.12m toss at her conference meet. 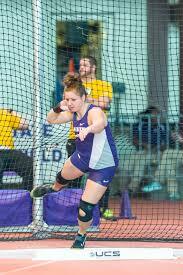 Tori has hit 18 meters just once outside, but it was a big one: 18.49m at the LSU Invitational on May 2. No one else has the horsepower right now to hang with those two. This is a tough one for me because I am friends with Tori’s high school coach Mark Harsha of Portage, Indiana, but I also have great respect for Raven’s coach at SIU, John Smith. Trof is going with Tori. I’m putting my money on Raven as Smith is the Dark Genius of big meet preparation. Wild Card: Hillman. 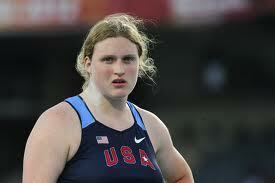 She has had, for her, a mediocre outdoor season, but she has been through the wars and has the consistency of the glide technique on her side. 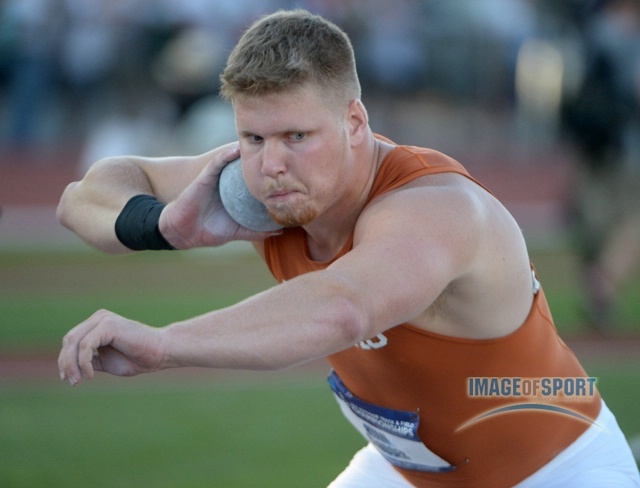 It takes a world class shot putter to win the NCAA men’s title. …are currently ranked 8th and 9th in the world. …who hit 20.70m on April 2, and has gone 20.33m as recently as his conference meet. 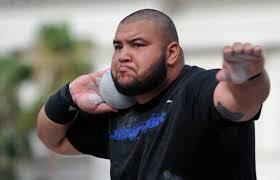 Throw in Cornell’s Stephen Mozia and his 20.18m toss from April 18,..
…and you have yourself what could pass for a pretty good Diamond League field. Hill is a brute. Fast. Strong. Technically sound. I would not be surprised to see him succeed on the international circuit a couple of years from now. Jones is a monster as well. 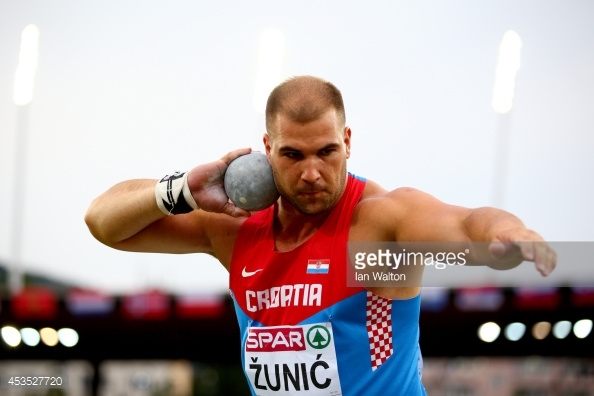 He hit that 20.70m throw in spite of training through a knee injury that has bothered him the entire year. Mozia is fast! And really fun to watch. Crouser is the two-time defending champ who seems like he has been throwing at an elite level since he was about twelve. He is also incredibly powerful. Two years ago when he won his first title he had, I believe, one fair throw out of six. That was a “safety” throw that one of the other guys in the flight told me was the slowest, most deliberate spin he’d ever seen. The result? A toss of 20.31m to edge ASU’s Jordan Clarke for the win. So even if he is feeling messed up technically, Crouser can still use his immense talent to conjure up a big throw. Unfortunately, that won’t be enough to beat Zunic. In a world class competition, Stipe has the most world class experience. He finished fourth at the European Outdoor Championships last August, and 6th at this year’s European Indoor Championships one week before defeating Crouser at the NCAA indoor meet. That experience will get him through what looks to be an epic competition. Wild Card: Virginia’s Filip Mihaljevic. Like Stipe, he has the eastern European mojo going.